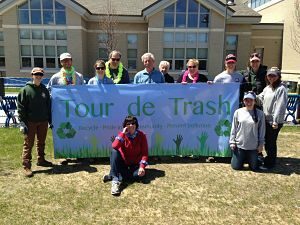 Tour de Trash is scheduled for Saturday, April 27th, and it begins at the Harwich Community Center at 9:30 a.m.
To register and choose a route, please click here. Gather your friends, family, co-workers, and neighbors to register for Harwich’s annual ‘Tour de Trash’ event so that we can rid our roadsides of unsightly and unwanted litter. This event is a joint effort between the Town Conservation Department and the Harwich Conservation Trust, with assistance and support from AmeriCorps Cape Cod, the Police, Fire, and Highway Departments. In 2018, Tour de Trash volunteers removed over 1,200 lbs. of trash and 500 lbs. of recycling from roadsides and other areas around town! Please bring water and dress appropriately for the weather as well as for walking. Separate bags for trash and recyclables will be provided, along with reflective vests, pickers, and disposable nitrile gloves. When participants finish at 11:30, there will be a complimentary lunch at the Community Center. Heavy rain will cancel the event. We thank our sponsors including: Stop and Shop in East Harwich, Nauset Disposal, and Cape and Islands United Way. Please consider being a part of Tour de Trash. Camaraderie makes it a fun and worthwhile event. 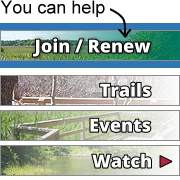 For questions, please contact Tyler Maikath, HCT Outreach & Stewardship Coordinator, by emailing: tyler@harwichconservationtrust.org or by phone: 508-432-3997.